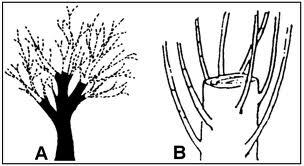 Pruning mature trees is required to remove deadwood and dying branches to maintain plant health and safety. Research has now documented that thinning large deciduous trees to remove live branches to reduce density, significantly reduces wind resistance that can lead to storm damage. Trained arborists at Buena Vista Arbor Care are experienced in recognizing this form of tree pruning. Most thinning cuts are concentrated at the tips of the branches. 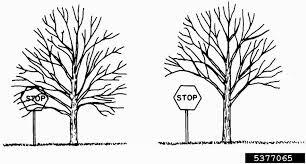 Raising the lower large branches is often done to eliminate interference with property, traffic, or structures. Other reasons are to remove a branch with a weak structure or to allow light penetration. Buena Vista Arbor Care arborists are trained in determining what branches should be removed. Buena Vista Arbor Care will not “Top” your trees without rare exception and on a tree by tree basis. 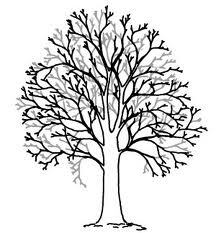 Instead, we will reduce the size of your tree with a drop-crotch pruning cut, in which we will cut down to a significantly lateral branch that is not less than one-third the diameter of the original limb. This is the only way to reduce the height you want but gives the tree an opportunity to recover since it can still get energy into the lateral branch. Buena Vista Arbor Care arborists have extensive experience in all types of pruning. This includes vista or view pruning, fruit tree pruning, restoration, and ornate pruning. Vista pruning is very popular with our coastal customers. This type of pruning can consist of one or more pruning methods listed above. Restoration pruning could be used to develop structure or repair wounds from things such as storms or car accidents. Lastly, ornate pruning includes pollarding and topiary. Specialty pruning can prove to be the most difficult type of pruning.